Join us for all-you-can-eat artisan smoked foods, catered by Route 40 BBQ. Chef Nic Galloro serves up sumptuous Old Bay steamed shrimp, pork ribs (seasoned with his famous rub), pulled pork, BBQ chicken, as well as side salads, coffee and dessert. Wine and beer will be served, and soft drinks will also be provided. In addition, a 50/50 raffle, bingo pop-opens, and silent auction will be held. 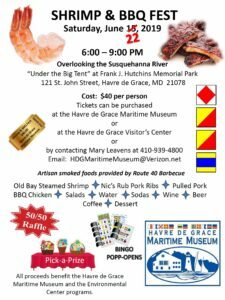 All proceeds benefit the Havre de Grace Maritime Museum’s programming and our Environmental Center. 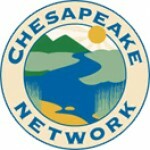 You may buy tickets in advance at the Maritime Museum or Visitors’ Center, or by calling the Museum at (410) 939-4800. 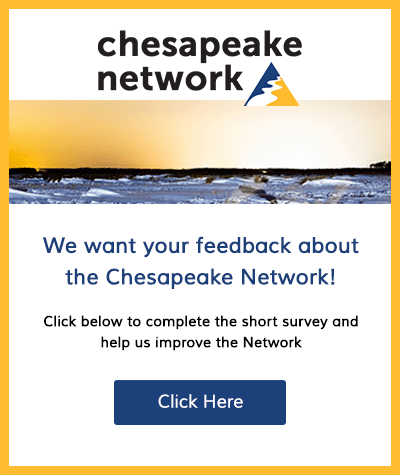 You may also email director Mary Leavens at hdgmaritimemuseum@verizon.net.